Russia has canceled a 63 billion cubic meter pipeline project to deliver gas to southern Europe. Instead of going through Bulgaria, an EU member, it will flow through Turkey and Greece. RT walks you through some questions you may have about the decision. A gas pipeline that would have delivered 63 billion cubic meters (bcm) to southern Europe from Russia through the Black Sea, traversing across Bulgaria and then onto Serbia, Hungary, Slovenia, Italy, Serbia, Bosnia and Herzegovina, Croatia, and Austria. South Stream had the potential to meet 20 percent of EU gas demand. What will now be built instead? Gazprom has officially confirmed that Russia will construct an alternative pipeline using funds and materials intended for the original South Stream project. 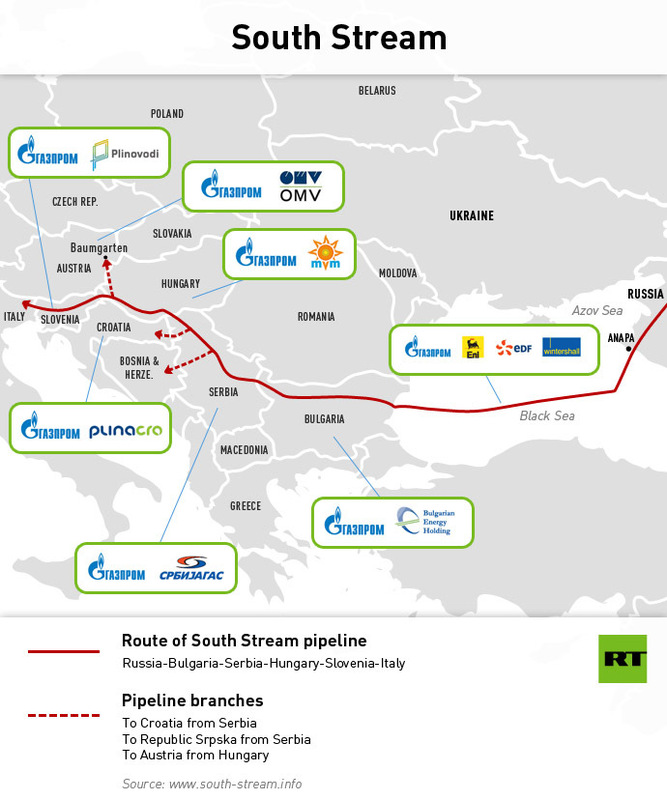 The Russian gas giant still plans to build a major gas pipeline to Turkey and southern Europe, but it won’t be called “South Stream” and it won’t cross through Bulgaria. Gazprom CEO Aleksey Miller said Monday that the new pipeline will cross the Black Sea and deliver 14 bcm to Turkey, then move on and deliver another 50 bcm to a hub at the Turkish-Greek border. Miller told reporters in Ankara that Gazprom had signed a memorandum with Turkey’s Botas Petroleum Pipeline Corporation to seal the deal. The gas will leave Russia from the Black Sea port of Anapa in the Krasnodar region, from the Russkaya compressor station, the same facility that was supposed to be used for South Stream. What was wrong with the original plan? Russia doesn’t want to start a pipeline that the EU doesn’t want to see completed. The EU signaled that the project might not be realized, and as the Ukraine crisis intensified, so did opposition to the Russian pipeline on European soil. EU Energy Minster Gunther Oettinger openly threatened to obstruct work on the South Stream pipeline as long as Moscow didn’t recognize the new government in Kiev. Over the summer Bulgaria, under pressure from the United States and the EU, halted the South Stream project twice, which worried Moscow. 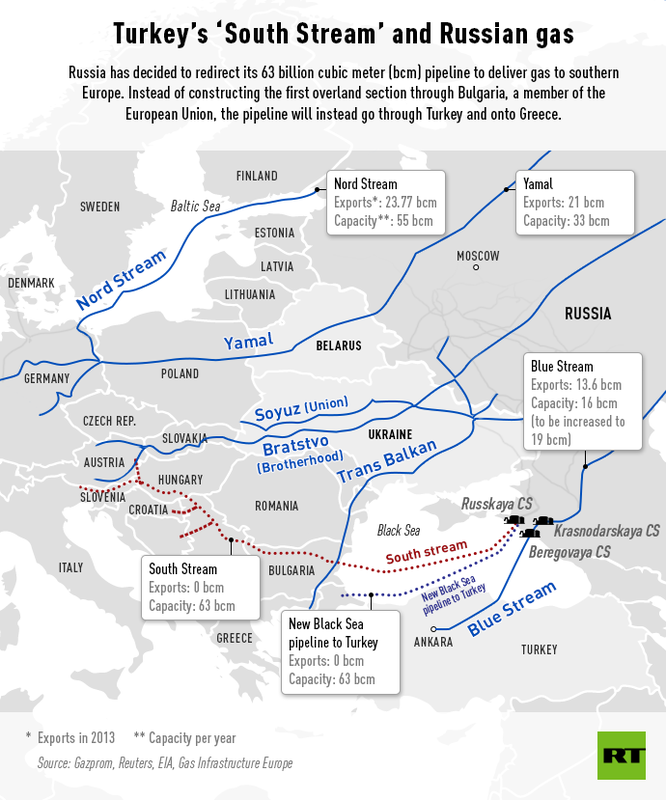 Bulgaria was to be the key gateway to Europe for South Stream gas. Gazprom and EU countries signed bilateral South Stream agreements as far back as 2008. Later, the European Commission passed legislation known as the “Third Energy Package,” which stipulates that a single company can’t both produce and transport oil and gas. Does this mean less gas to Europe? No. Russia has other pipelines that deliver gas to Europe such as the Nord Stream and Yamal pipelines. Russia will deliver 155 bcm to Europe in 2014, half of which will flow through Ukraine, and the rest through Nord Stream, Yamal and other, smaller pipelines. But the point of South Stream was to deliver gas directly to the EU and to bypass Ukraine, which has been constantly engaged in gas rows with Russia. Germany, France, and Italy have a say in the project, as they are strategic partners in South Stream. Gazprom may also decide to find new partners or go it alone with the new venture. South Stream AG was the company created to build and manage the project, which is 50 percent owned by Gazprom, 20 percent by Italy’s ENI, and 15 percent each by France’s EDF and Germany’s Wintershall. It’s bad news for EU companies that have already invested at least €2.5 billion in the South Stream project. Losing South Stream could also mean less energy security. Even though Europe is increasingrenewable energy, it still relies on Russia for a third of its gas supplies, half of which travels via Ukraine. Even prior to the Ukraine crisis, European countries have been focused on cutting their dependence on Russian energy, which they reaffirmed after Crimea rejoined Russia. Europe can’t totally do without Russia gas, according to Jerome Ferrier, head of the International Gas Union and Senior Vice President of France’s Total. Turkey is Gazprom’s second-biggest customer in the region after Germany. Their natural gas partnership dates back to 1984, when they signed their first supply cooperation agreement. At present, Russia sends gas to Turkey through the Blue Stream gas pipeline, opened in 2002, and via the “Balkan corridor” through Ukraine, Moldova, Romania and Bulgaria. In 2013, Russia supplied Turkey with 26.2 bcm, nearly 60 percent of the country’s total needs. 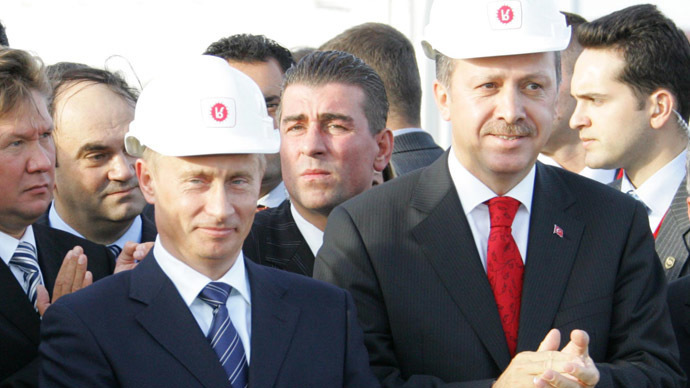 In 2014, Russia will supply Turkey with 30 bcm of gas. With a population of more than 80 million people, Turkey is a strategic partner for Russia as it diversifies dependence away from Europe. Turkey’s imports from Russia are about 10 percent of Europe’s total demand. Trade between the two countries currently stands at $32.7 billion, making Turkey an important foreign partner for Russia. During President Putin’s visit to Ankara on December 1 with Turkish President Erdogan, Turkey sought a 15 percent discount for Russian gas, but only got 6 percent, starting January 1 2015. In the deal, there is the possibility to reduce prices in the future. Is Russia turning away from the EU? No. In fact, an EU pipeline project could still be realized, just not in the current political situation. For now, however, Moscow’s money is going to Ankara, not Brussels, an important geopolitical step for both nations who feel they have been strung along with lofty EU promises. So far, Gazprom has spent $4.66 billion on the South Stream project, which was projected to cost $29 billion, according to the most recent estimate by the company. 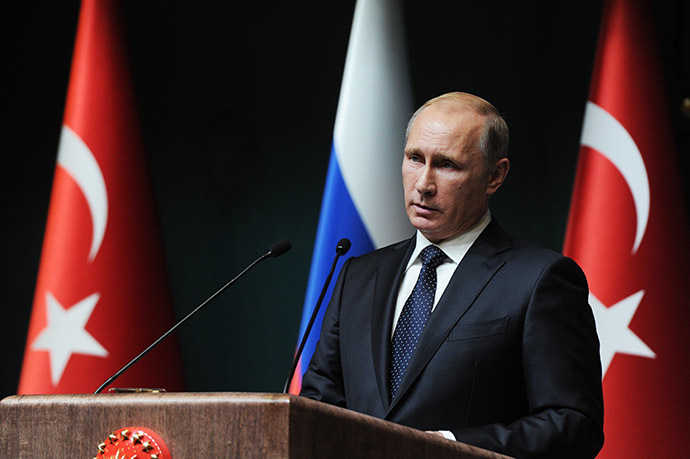 Putin has said that Europe is still important for Russia, but that China is a priority. Turning to Turkey is another way to diversify buyers. He advised the Bulgarian leadership “to demand loss of profit damages from the European Commission”as the country could have been receiving around 400 million euros annually through gas transit. 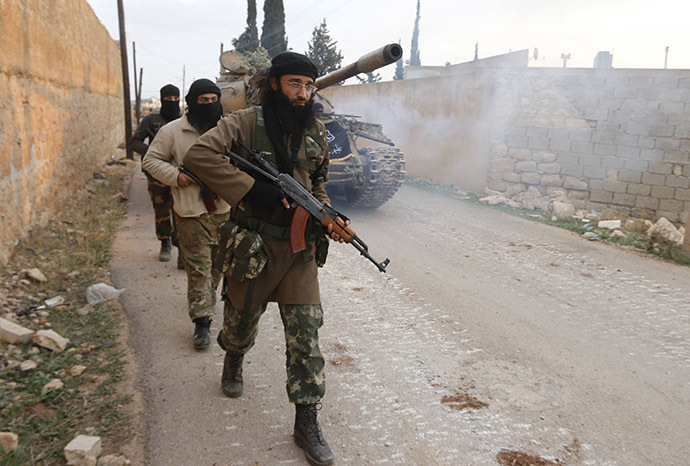 "We sincerely expressed our attitude towards this [Assad's] regime. Mr. President has another stance on the issue. But in general, we have reached a certain agreement on [the] resolution of the Syrian conflict,”Turkish President Recep Tayyip Erdogan said.